With the popularity of social media, it is easier for contests to go viral with little to no need for traditional advertising. One of the best ways to create brand visibility for your product is to hold a contest with exciting prizes. With the popularity of social media, it is now easier for contests to go viral with little to no need for traditional advertising. 1) What do you want to achieve with the contest? 2) What are the contest rules? How will you pick the winners? 3) How do you spread the word about the contest before, during and after the event? One of the brands using contests to increase brand visibility during the summer months is non-carbonated and green tea-based beverage brand C2 Cool and Clean. The brand is launching a Capture the C2 Sarap ng Bukas Photo Contest with a grand prize of P75,000 cash. All you have to do is get behind the camera and be creative. Eleven cash prizes are at stake. The grand prize winner will bag P75,000, the second placer gets P50,000, the third placer gets P25,000, and the six other finalists will get P10,000 each. The Voter’s Choice awardee will also get P20,000. 1. 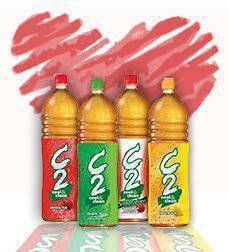 Take your most creative photograph with a bottle of C2 and/or C2 branding. 2. The photograph should follow, but are not limited to, the following categories: places, people, food, and occasions/activities/events, and must showcase your own interpretation of the "Sarap ng Bukas" concept. 3. Log on to their Facebook page here and follow the steps on how to join the contest. 4. Submission of entries will be from March 12 to April 15, 2012 only.